How is PPF different from life insurance? I often got questions about better investment scheme or better insurance policy to go for. But it?s so rare that question like PPF or LIC, Which is better? comes into my mail box. The reason behind this question is treating the insurance like any other investment scheme. This is due to the lack of sufficient knowledge and information. A Robust financial planning is based on the pillars of protection and savings. Protection always comes first because once you are fully insured that if something unfortunate happens to you, your family will be able to live the same lifestyle without any trouble, than you can think about savings for other goals such as child education, child marriage, retirement etc. Although two products are very different but can be easily understood with the following explanations. Public Provident Fund (PPF) is a widely preferred long-term debt scheme which is under the aegis of Central Government. A minimum deposit of Rs.500 with a ceiling limit of Rs.1.50 lakhs can be deposited in the PPF account which also get you tax deduction under section 80C. Since PPF is EEE scheme; contribution, interest and maturity amount, all are tax free. Life Insurance (LI) requires small investments called premium, paid on a regular interval to avail the protection or risk cover (sum assured). This sum assured is paid on the event of death or maturity. ?Premium paid for the Life Insurance Policy also gets you tax benefits under section 80C. Read: How to Cancel Policy if not suitable for you? What for? Retirement Corpus Protection against the unfavourable event. Time Period Minimum of 15 years than in the blocks of 5 years. Minimum 5 years to 40 years or till death. Contribution or Premium No fixed contribution. Rs.500 to Rs.1.50 lakhs Fixed premium for entire tenure. Tax Rebate on contribution or premium Up to Rs.1.50 lakhs under section 80C Up to Rs.1.50 lakhs under section 80C. Taxation on the maturity amount Tax-Free Tax-Free u/s 10(10d) if premium paid is up to 10% of sum assured. Returns Returns are guaranteed. For current fiscal year 8.7% p.a. No guaranteed return. 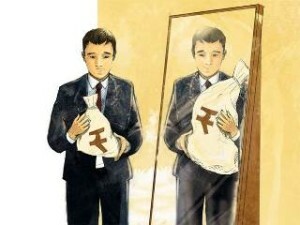 ULIPS or endowment plans may give return of 4% to 6%. Loan Up to 60% from the 3rd to 6th year. Not all policies offer loan facility. Surrender or premature withdrawal Not Allowed unless in case of death. Could be surrendered before the maturity. Comparing both the schemes cannot be justified as both are of different genre. ?But if one has limited resources and has to choose between Life Insurance and PPF, than he should definitely go for Life Insurance as it gives risk cover for the life and some policies also gives return of 4% to 6% on the maturity. Even if you die your nominee can claim PPF amount like in insurance amount. I am not against insurance, I am against endowment, UPLIPs or money back insurance plans. One should have enough insurance through term plans.